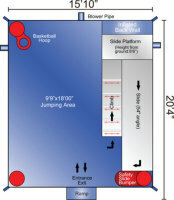 Its Mickey and all of his friends in this Disney unit with 5 play areas. 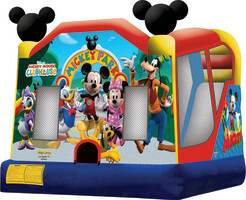 This toddler bounce house is perfect for your favorite miniature Mousketeers. You'll enjoy the slide and basketball goal inside.